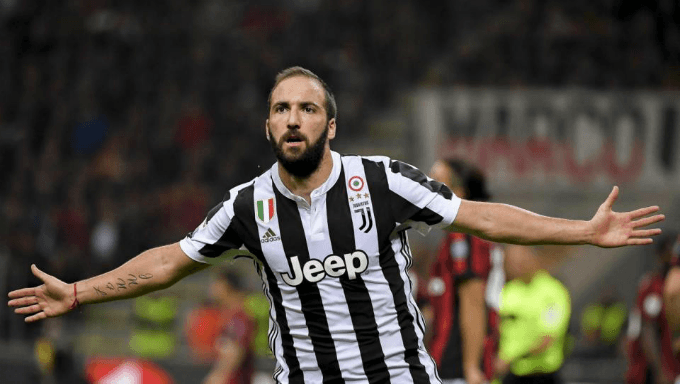 Champions League betting enters the quarter-final stages with an absolute screamer of a match, as current champions Real Madrid take on Turin side Juventus. Thirteen might be unlucky for some unusual characters, but Real Madrid are chasing their 13th Champions League title to beat their own record. Meanwhile, the Juventus players must feel like they are always the bridesmaids and never the bride, having come runner-up seven times in the competition. Their last final game was in 2017 against Real Madrid, which is what makes this game so special. Having pipped Spurs to the last eight with a narrow 4-3 aggregate win, can Juventus hope to take on the might of Madrid? Bookmaker Ladbrokes is unsure which of these European teams will win outright, offering only slightly shorter odds on the current champions at 31/20, while Juventus are only just behind at 9/5. Although Real are now in their eighth consecutive Champions League quarter-final, they did briefly drop the ball against PSG in the first leg, going 1-0 down only to triumph with a 3-1 victory. Both teams are currently on fine form, having won four of their last five games. Juventus only managed a draw against SPAL in the Italian Serie A, while Madrid lost away from home against Espanyol back in February. However, Real’s 4-1 thrashing of Juventus in last year’s Champions League final would place an advantage in their half. In the scenario that the game ends in a draw, Ladbrokes will give you 21/10. If you are expecting a repeat of last’s years finals, with plenty of goals from Real or a cheeky consolation for Juventus, then Paddy Power has odds of 20/23 that both teams will score. However, if you think the two behemoths of European football can hold each other to a stalemate, then the bookmaker is giving odds of 10/11. There is not a great deal between the two, but with Cristiano Ronaldo and Gareth Bale on the pitch for Real, facing off against Juventus strikers Paulo Dybala and Gonzalo Higuain, football betting fans would hope to see some goals. Ladbrokes have combined the Match Winner odds with Both Teams to Score, and it alters them significantly. Juventus go up to 5/1 with Unibet to win with both teams on the scoresheet, while Real are attracting slightly shorter odds of 9/2. If both teams were to score but end the first leg in a draw, you could currently get odds of 10/3. You get more bang for your buck if you can predict the scores at the end of both halves. If you think Real will dominate from the start, and be winning both at half time and full time, Ladbrokes would give you odds of 7/2. If you think Juventus will surprise with a strong attack and lead the entire game, then the odds are 4/1 with William Hill. Should the game remain tied at halftime, only for Real Madrid to take the lead before the final whistle, the odds go up to 19/4. For the same scenario but Juventus taking the points, the odds are just slightly longer. Predicting the correct score is an educated guess, and this powder keg could blow up in favour of either of these teams. Ladbrokes continue the pattern of offering very similar odds between the team, but with Real just edging out as the favourite. If the current champions manage a 1-0 win in Turin, the bookmaker is offer 13/2. But if Juventus score a single goal at their home stadium, you could get odds of 7/1 with top football bookies. If the game remains goalless, the odds remain roughly the same as a 1-0 victory at 15/2. However, if both teams score one goal apiece, the odds shoot up to 5/1. A 2-2 draw spikes up to 14/1, while an unlikely 3-3 result in the first leg has extremely long odds of 70/1. If Real Madrid were to repeat their performance at last year’s final and trounce Juventus 4-1, you could get 66/1. So if you think Real Madrid will reign over their Italian rivals, or that Juventus will keep a clean sheet on their home turf, why not visit Ladbrokes to put on a wager? If you join today, you can avail of a free £50 bet offer.